For many, bedtime is anything but restful. It is an intense time for thought—to review fears, worries, regrets, self-criticisms, and responsibilities. Even if you fall asleep, you may awake in the middle of the night with “racing thoughts,” something psychologists also call ruminating. Sometimes a familiar and pressing worry is pervasive. Other times thoughts are scattered and disorganized but nonetheless have an electric feeling. Even when exhausted, if your mind is in the “ON” position, sleep will never be restful or refreshing. Additionally, if you are unable to sleep, the impact on daily functioning is progressive and eventually decimating. Focus and concentration are impaired. Stress reduces immune system function and makes you vulnerable to illness. Accidents and mistakes are more probable. Irritability increases and frustration tolerance decreases. Your relationships are strained. Energy and motivation wane. Most importantly your quality of life is impacted because you can’t fully enjoy your life in a fatigued state. Worry is the mind’s effort to remind you that something is very important and unresolved. Your mind refuses to let you forget and will start the worry process if it believes matters are not in order. For example, if your finances are not resolved, your mind may insist that you review problems related to money as you try to sleep. If you are unhappy in a relationship or lonely, your mind will conjure thoughts, images, and fears to review—at night! 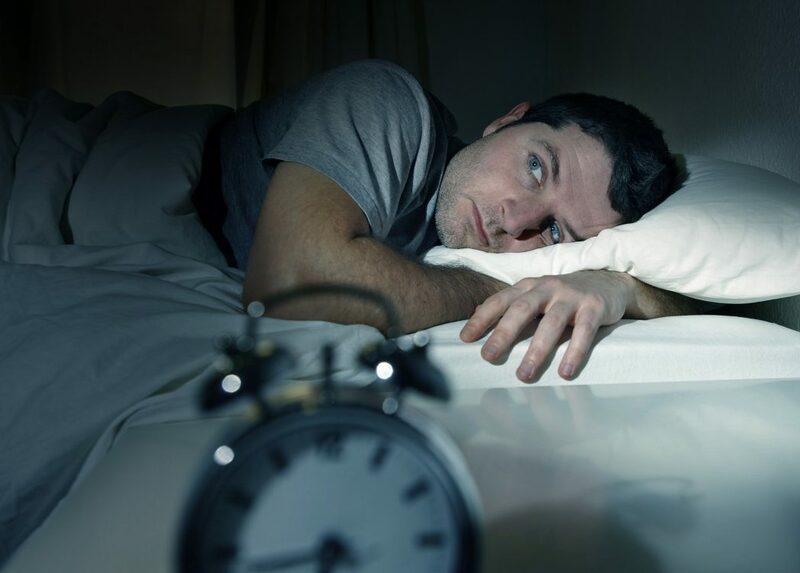 Nearly 20 years in mental health practice has revealed a number of common psychological themes that interfere with sleep. These themes are closely related and typically feed one another with a powerful charge, which perpetuates further rumination (dominating and repeating thoughts of distress). Below are just a few of the factors that may ring true for you. Fear. This is by far the most prevalent and insidious of factors preventing sleep. When we live with fear in our waking lives, we are often able to discharge the fear with distraction, physical fatigue (exercise), and daily obligations. But when it is time for sleep, fears can take over, demanding our focus and attention. This stimulation is naturally contradictory to sleep. Your body is not allowed to rest, because your mind places a powerful hold on sleep. Many worry about an unclear outcome or devastating predictable consequence. What am I going to do? The question remains unanswered over and over again. Fears are sometimes very real, and other times they are unlikely but nonetheless given life and power by our insecurities (see below). For example, people may fear health problems that don’t exist now, but may at sometime in the future. Others may fear current issues or circumstances like job loss or financial problems that are very real. Note: Fears that require us to wait in uncertainty are particularly damaging. Our mind naturally wants a definitive answer. Being suspended in uncertainty in an unclear or ongoing problem situation is a perfect way to generate fears and insomnia. Most often, such fearful questions remain unanswered in the middle of the night. The lack of answers lends itself to images of failure, suffering, inadequacy, and pain. Are you completely satisfied with yourself? Your looks? Your career? Your relationships? A lack of satisfaction in life provides a lengthy list of worries and troubles for the nighttime worry machine. Our minds will attempt to resolve dissatisfaction by mentally revisiting each and every subject of worry—in the middle of the night—until we arrive at a satisfactory solution. Have you been able to resolve all of your life dissatisfaction through worry? Probably not. So, your mind will start the process again every evening. To address life dissatisfaction requires an examination of your standards. Think of standards as rulers/yard sticks that measure your worth. If you come up short on the end of the measuring stick, your mind my enlist worry to force you to attend to the problem. For many, rulers of worth have never been studied but rather are accepted automatically. To accept measures of our worth without careful consideration is reckless and can quickly produce the inability to sleep. For example, we may privately make comparisons with others because we fear we do not measure up. Where did that measure come from? And is that measure an important indication of my worth? Adjusting your standards appropriately can sometimes provide not only short-term relief for insomnia, but lasting peace in your life. If you want to be beautiful or make a lot of money, go ahead… But understanding why those things are so important that you must worry in the middle of the night is arguably an important topic for resolution. Guilt, shame, and judgment. These are the friends of your standards. When we don’t meet our standards or measures, thoughts and subsequent feelings are used to try to force change. When we create shame or guilt, the mind can try and motivate us to make changes. For example, you may call yourself fat as a way to create discomfort to then urge yourself to lose weight. As you might expect, this is a very painful motivator that often produces insomnia. A curious and often minimized worry that leads to insomnia is the repetitious redundant review of simple tasks and responsibilities. Sometimes the mind suggests, “Oh, I can’t forget that tomorrow I have to [blank].” What’s inserted into the blank are often quite basic daily responsibilities ranging from packing items for a trip, to sending an email or paying a bill, to filling the car up with gas before a commute. Why then should such mundane tasks burden our mind’s space as we try and sleep? Remember, worry is a memory function—the mind is concerned that we may neglect a task, a task that needs to be completed. Consequently, it is possible to consume our minds with responsibilities. Considered alone, each little task borders on ridiculous. However, when we forget to get gasoline or send an email, or pick up dry cleaning, or show up late for work, or forget our passport (insert your responsibilities here) we may find ourselves in a confounded mess that is unfixable. Thus our mind serves to remind us of these little nuisance responsibilities so we do not fail. Our mind is convinced that without such worry reminders we will fail. I can sleep. It is amazing how great we can feel when fully rested. The rejuvenation that occurs when our bodies and minds are given a reprieve from burdens is incredible. If you have been unable to remedy insomnia, it is likely that key issues in your life (real or imagined) require attention. Fear creates immobilization which then perpetuates suffering. Think of a broken leg that is never treated, but you insist on trying to walk.